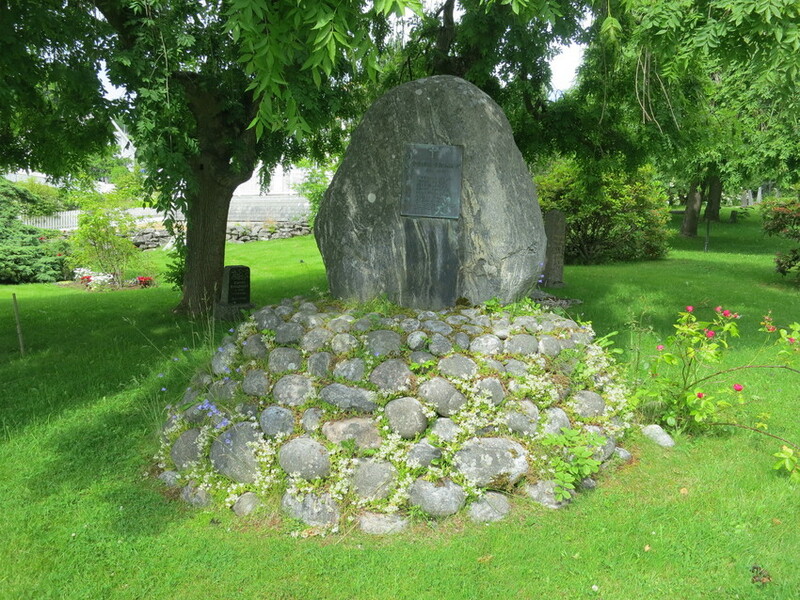 Two stone memorials at Ulstein church. 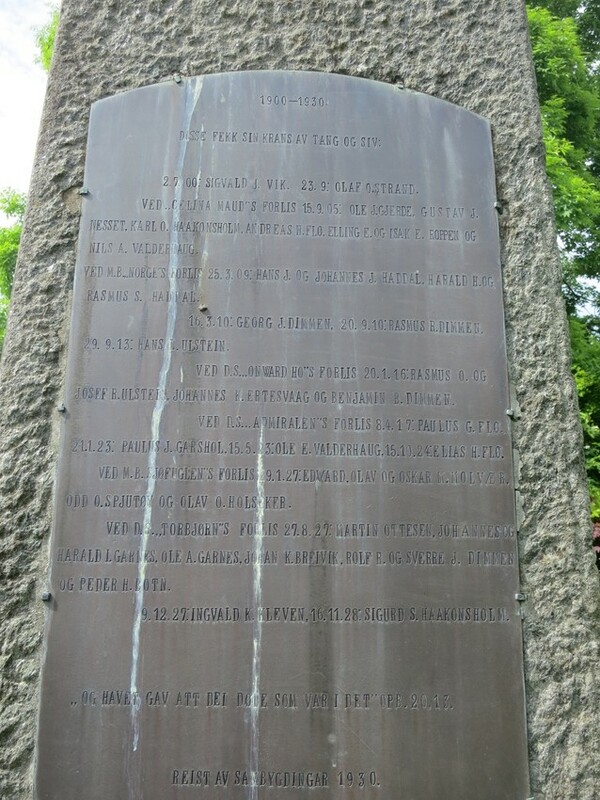 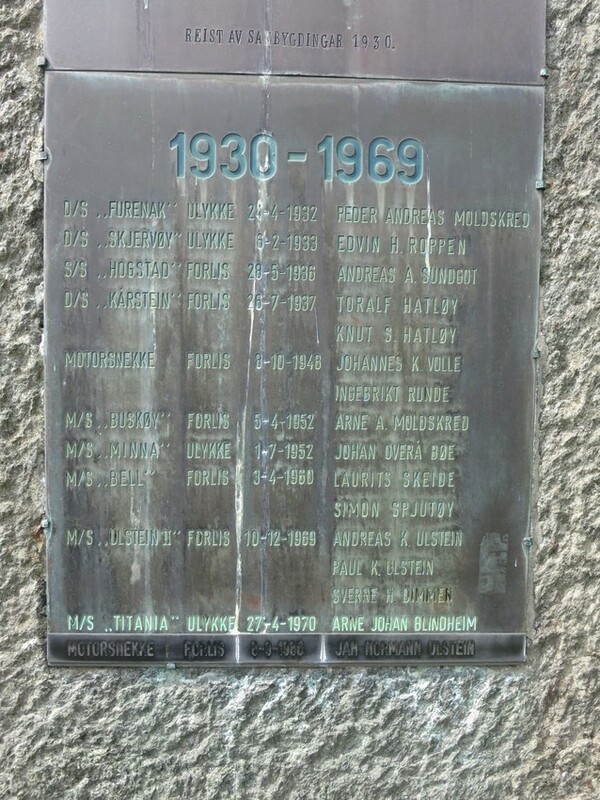 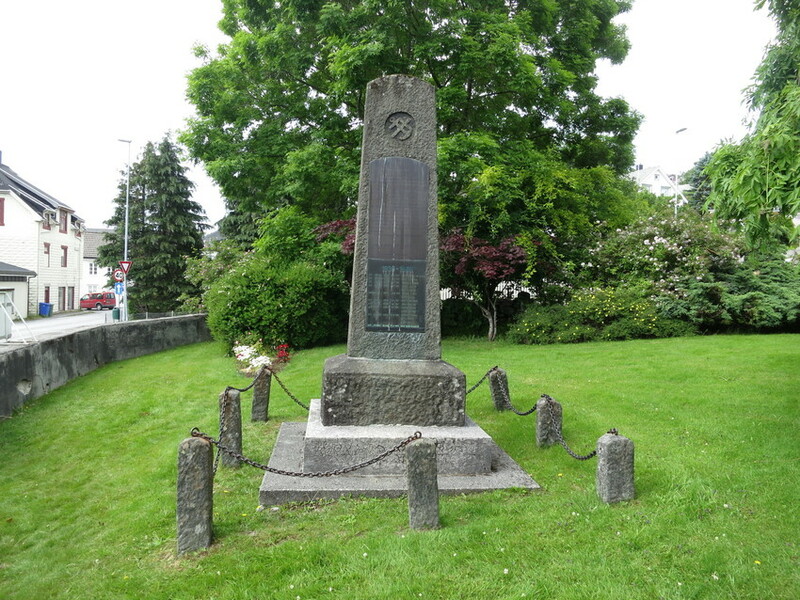 One, carved by Laurits Dimmestøl from Dimna, was erected by local inhabitants in 1930 in memory of those lost at sea. 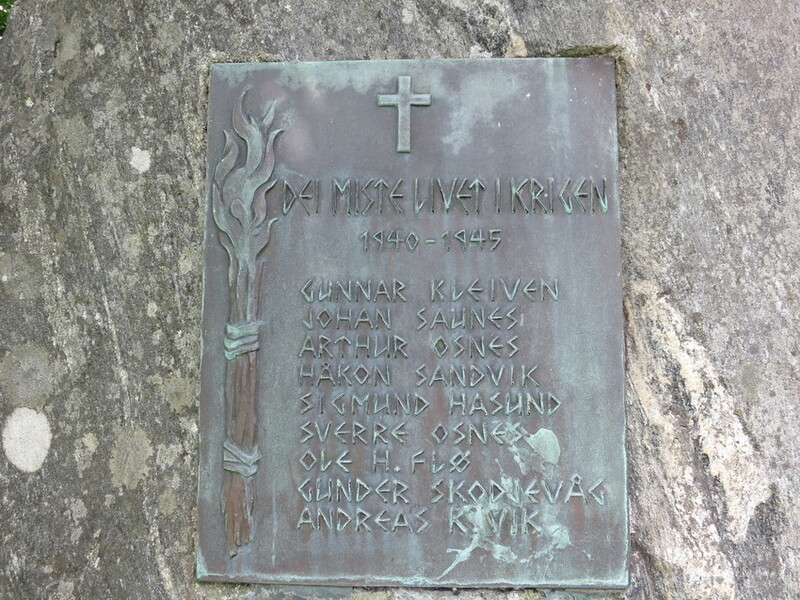 The other commemorates those who lost their lives in the war.